Last month we saw a back and forth battle between the factory Subaru team of David Higgins and Co-Driver Craig Drew against 5 time Canadian Rally Champion Antoine L’Estage and Co-Driver Natalie Richard. It all came down to the final stage in northern Michigan where their studless tires searched for grip on the snow covered roads. In the end, Antoine L’Estage came out on top with his Rockstar Energy sponsored Mitsubishi EVO X. This week teams forgo the frozen northern latitudes for the Ozark forest roads outside of Salem, Missouri (insert banjo music here). 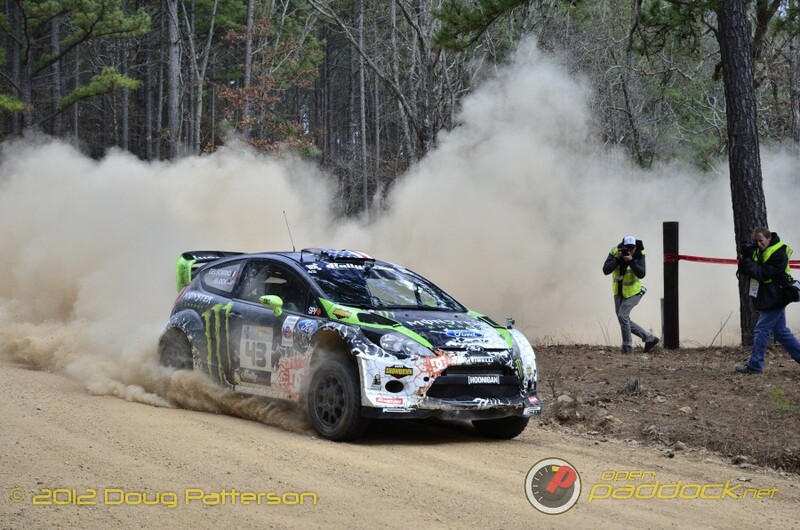 In stark contrast to the slow and slick Sno*Drift, the 100 Acre Wood Rally can see speeds over 100 MPH on what is considered the fastest rally in the Rally America Championship. Usually southern Missouri is cold and dry this time of year, but as it is right now the area is supposed to get snow and ice pellets the next couple of days and then clearing skies with temps in the 40s heading into the event weekend. This could mean that the normally hard packed clay could be wet or slushy. Rutting could be an issue instead of dust, but in either case being the first car on the road will be a bit of an advantage. Since the top driver starting grid is a lottery draw it’s unknown who will get the lucky starting position on Friday morning. Who will win? Will Ken Block get his 7th title? 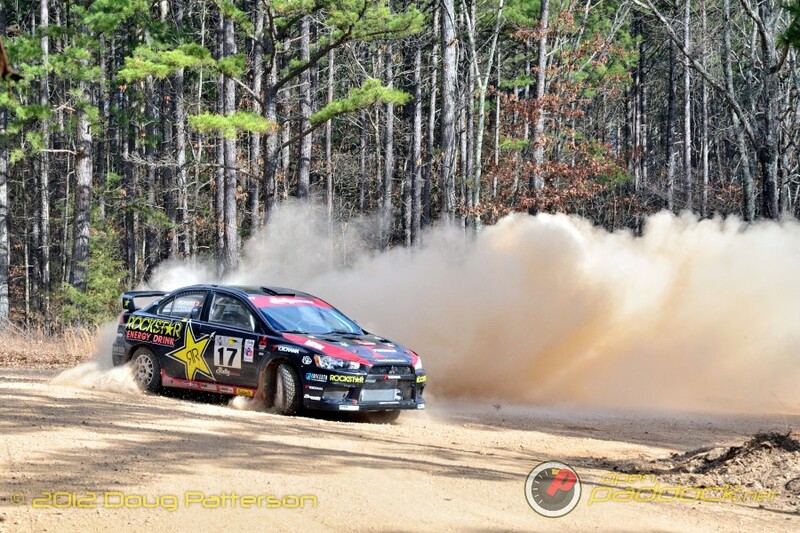 Will we see another close battle between L’Estage and Higgins like we had at Sno*Drift? What about Crazy Leo, will he finally have an opportunity to challenge for victory? We already know one of these answers as unfortunately Crazy Leo Ulrichich and co-driver Carl Williamson won’t be attending the 100 Acre Wood Rally this week. Leo had an unfortunate incident with a mountain while snow skiing. From the sounds of it he got bent up worse than his iconic “Beast” Subaru. It’s too bad, because I think Leo’s Subaru has the best livery of all the cars on the stages. My personal bet is still on Ken Block getting his 7th win with his Hoonigan Fiesta. Ken’s car has a fairly significant speed advantage that will be hard for Higgins or L’Estage to keep up with unless the weather becomes a factor, he makes a major mistake, or he has mechanical issues. Higgins though has a new Subaru for this year which might be able to challenge Block especially if it gets slick enough that Block’s Fiesta loses some of its power advantage. 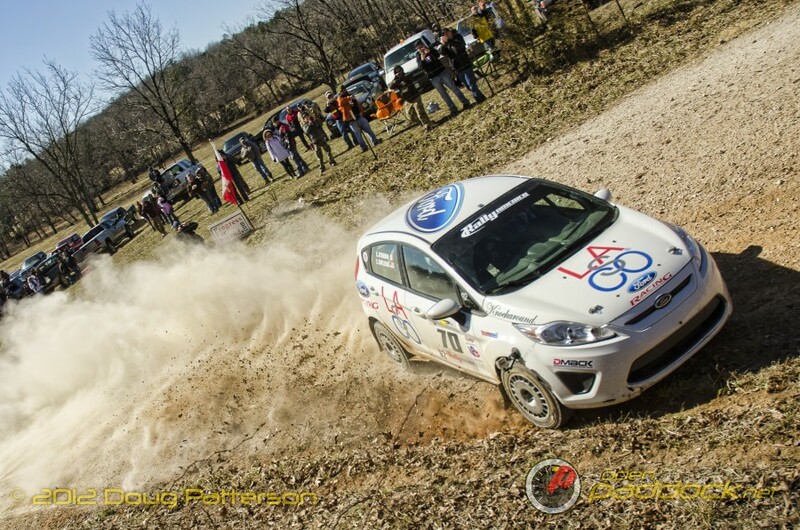 Antoine L’Estage has stated that he will have difficulty keeping up with the bigger factory teams on the fastest stages, however I wouldn’t count him out so quickly. If Higgins tries to challenge Block he’ll have to push to the limit and mistakes in the 100 Acre Wood are typically catastrophic. Just ask the tree that Crazy Leo went into last year. Also, I think L’Estage’s newer car for this year is a bit quicker than he has let on. Back in Super Production we have David Sterckx back in his 2011 Subaru WRX STI after retiring on just the second stage of Sno*Drift with a transmission failure. He’ll be up against last years Super Production Champion Lauchlin O’Sullivan in a freshly built 2008 Subaru WRX STI. 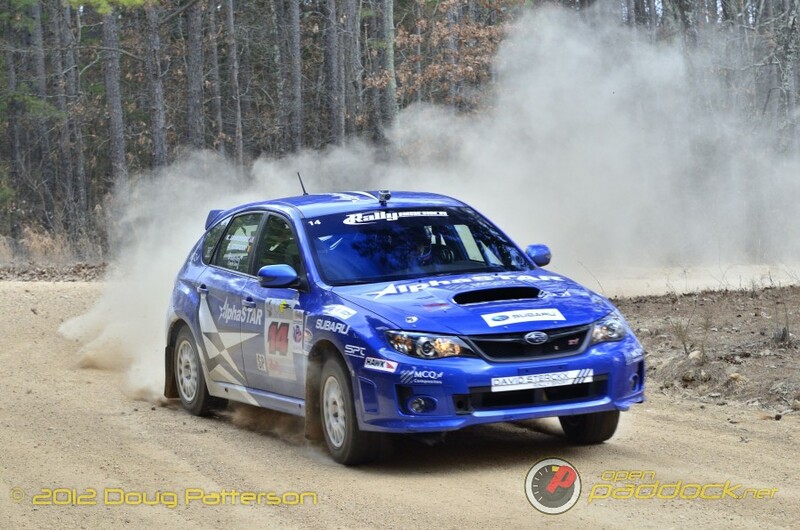 It will be interesting to see whether Lauchlin changes his driving style since he has switched to Subaru from the Mistusbishi he had competed in for many years prior. Others to watch out for in the SP class are Evan Cline in his Exedy Clutches sponsored 2005 Subaru WRX STI who won at the previous Sno*Drift event, and young Mason Moyle who has been steadily improving his pace over the last two years and finished second on the podium at Sno*Drift. Look for a lot of action in 2WD as well. The favorite is of course the ugly duckling factory Scion driven by Andrew Comrie-Picard. He has a redesigned Rally xD for this season and it is supposed to have considerable handling improvements over last year’s car. Hot on his heals will be a bevy of Ford Fiestas. Of not will be the turbocharged 2011 Fiesta of Dillon Van Way. Dillon is stepping up his game this season by hiring the highly experienced welsh co-driver Andrew Edwards to help him develop his own pace notes system. Edwards co-drove the British Rally Championship for last year’s WRC Academy winner Elfyn Evans, so I expect some good results to come from this new relationship. Fast Eddie McNelly who claimed 3rd in the 2wd championship last year is back in his R2 Fiesta. Also look out for the supercharged Dodge Neon SRT4 of Chris Greenhouse who won the Group 2 category at 100 Acre Wood last year. Chris loves the fast flowing stages and loves to catch air over the jumps. Look to see him attack the roads as if he’s piloting a low flying aircraft! What I’m most excited about in 2wd is to see the “old sages” out on the stages at 100 Acre Wood. 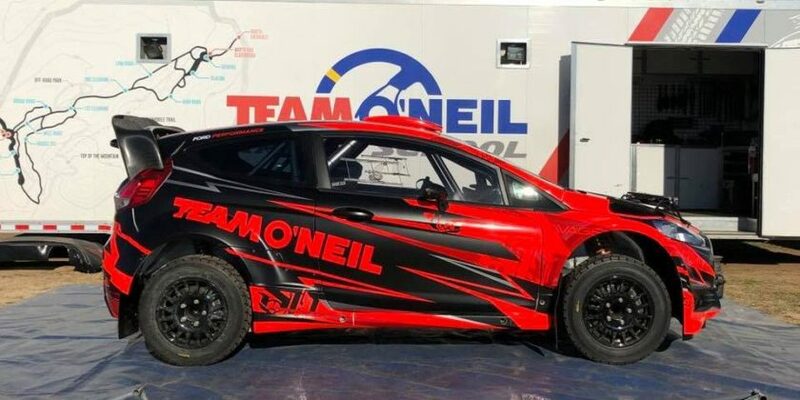 Owner and teacher Tim O’Neil of the Team O’Neil Rally School is going to be competing in a freshly built 2012 R2 Fiesta with Terry Hanson (Travis Hanson’s father) as his co-driver. Team O’Neil Rally School was the first and only training ground of its kind in America for many years. This means many of the competitors Tim will be racing against will be his current and former pupils. It will be great to see if the teachers can school their students out on the stages! If you are able to make it out to the event, be sure to check out our 100 Acre Wood Rally Fan Guide . This guide will give you details on where to go, what to bring, and the best places to view all the action! 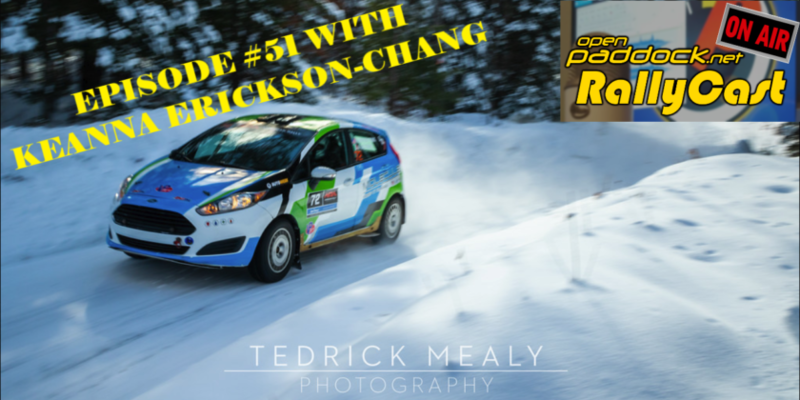 Open Paddock’s very own Doug Patterson is going to try his best to make it to the rally this weekend provided the weather doesn’t prevent his travels. So if you see a Ford Focus ST with an Open Paddock bumper sticker driven by a grizzly looking man holding a camera with a lens as big as he is tall, be sure to stop and say hello to Doug!